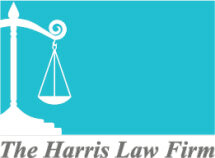 The Harris Law Firm is a boutique, client-centered practice located in Fort Worth, Texas. Our team focuses on a wide range of family law matters, particularly divorce and child custody. At The Harris Law Firm, we are committed to placing our clients' needs first in every issue from divorce, child custody, adoption, and Child Protective Services cases. Before commencing any action on a case, we meet with each client to strategize whether taking immediate court action or a collaborative approach would be most beneficial. Additionally, we are also able to assist clients in the production of wills to protect their estates, their loved ones' inheritances and ensure their wishes are addressed. We service clients in Fort Worth, as well as throughout Tarrant County, Johnson County and Parker County. Our office also serves the surrounding areas of these counties so be sure to contact our office for a complimentary consultation to determine if we represent your area. At our law firm, we are proud of our commitment to maintain a high level of compassion and personalized service to our clients, elements which are often overlooked by larger law offices. We understand that any family law matter is emotionally charged and highly stressful which is why we treat each client with empathy, honesty and respect while strategically planning an approach to their unique needs and specific to their case. Not every legal issue needs to be addressed in a courtroom and we are able to approach each case accordingly. Whether it is an aggressive "no holds bar" approach, client specific requests or a more laid-back agreeable approach we represent each client at the highest level possible and ensure they have all their needs addressed. The Harris Law Firm accepts cash, credit cards and checks for our clients' convenience and welcomes prospective clients with a complimentary initial consultation.